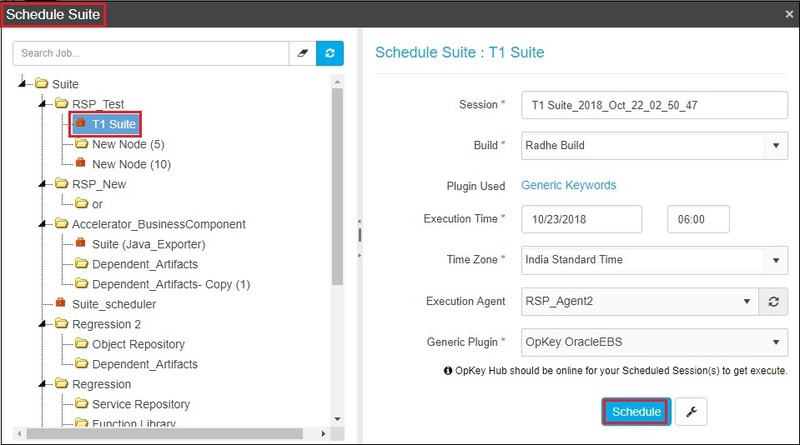 OpKey allows users to manage Suite execution from a single place through Suite Scheduler. The overall execution time can be reduced by distributing the run on different machines. OpKey Scheduler helps you to schedule execution for your Suite files only. Navigate to the Tools menu & click on Scheduler. Here, you can create a Job and then schedule Suite for its execution on a specific date and Time. Default highlighted column represents the current date (Today). For example: 22-Oct-2018 in below given image. Click on the desired calendar cell. A pop-up window of Schedule Suite will get open. Click on Schedule button to save it. You can click on Show Advanced Settings button to view & apply advanced settings. 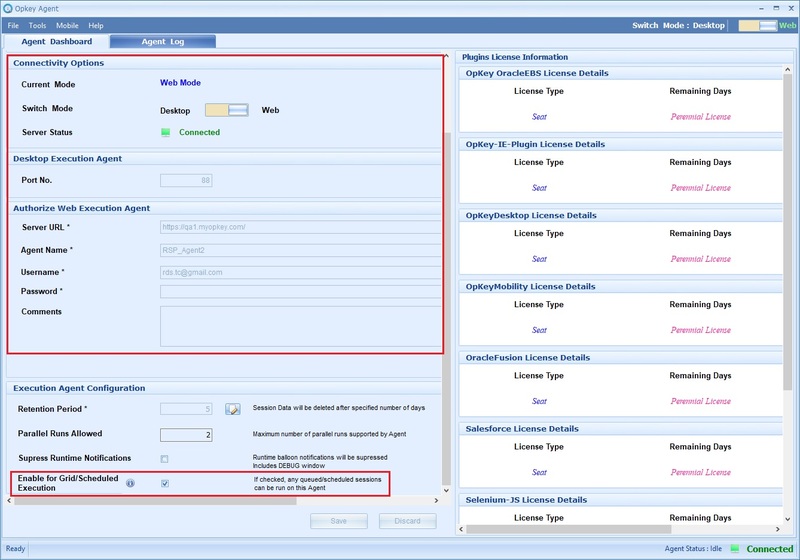 You must ensure that OpKey Hub and Execution Agent are online with required configurations at the scheduled date and time of Suite execution. Once, you have scheduled Suite execution through Scheduler successfully, you can see it in the calendar & there will be a message that “Job scheduled successfully on give date & time“. The job created above will get scheduled for Execution in the scheduler. You can view your scheduled job. Navigate to the Tools menu & click on Scheduled Session option. Here, you can view your scheduled session. Once, execution of the scheduled job begins, you can view it under the Execution/Finished Sessions tab. If the required plugin is not installed on the configured Agent then scheduled session will be discarded. There will be a notification message on OpKey Hub & discarded session will be removed from the list. If you have not selected any OpKey agent while scheduling Suite execution through scheduler then session will look for any available Agent (having proper required configuration) & your session will get executed as per the scheduled date & time. You can schedule multiple sessions on an OpKey Agent to be executed simultaneously but there should be required configuration on the Agent for executing multiple sessions.